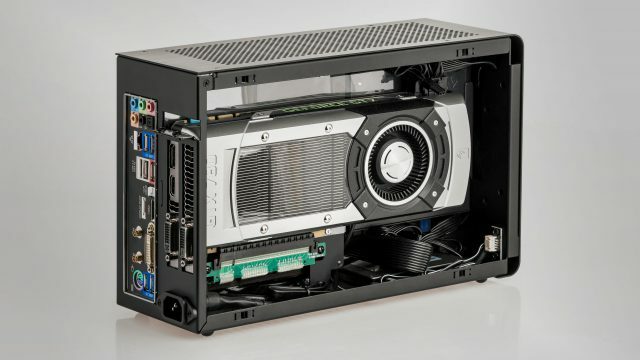 The DAN A4-SFX Mini-ITX case can house a full-sized graphics card, with a volume of only 7.25l. Let’s see how the new Radeon GPU compares to the Nvidia GeForce GTX 900 Series. It’s a good thing NVIDA are only bundling Rise of the Tomb Raider with their GTX 970 cards and upwards because they don’t recommend anything slower. And it’s really rather special. And what you might need to play at 60 fps at 1080p in VR. You’ve read about the Fury X and Fury, but what about the Fury Nano? For the moment, it’s hard to beat the GTX 980 Ti. We expected these prices, but we can’t help but feel disappointed in spite. It really is too much of heaven with NVIDIA’s GTX 980 Ti. For as solid as its price/performance ratio is, don’t expect the GTX 980 Ti to be all that cheap locally. Specs for NVIDIA’s GTX 980 Ti have been confirmed. AMD’s Fiji XT may well have what it takes to dethrone the Titan X? Will the rumoured GTX 980 Ti put AMD’s enthusiastic fanboys in their place?